I once saw a creature attack my spaceship in Space stage but I have not seen this since. I was on my home world in my spaceship and three creatures were spitting at my spaceship. I would love to see this again. Does anyone know how I can get the creatures to attack my spaceship again? I believe the creature that was attacking you may have been an Epic. You can create epics from creatures using the epicsizer tool. you can also use the cheat "spacecreate" to get some epicsizer tools. 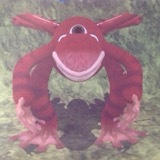 Spore is creative, even the mods and hacks. Or, should I say, especially the mods and hacks? The creatures in question were normal size. They were absolutely not epics. The creatures were wearing tribal clothes. I hope this clarifies things.